There is no greater example of how junkscience perpetuates long after it’s been scientifically disproven than the myths and fears surrounding sugars, especially the biggest evil of the day: high fructose corn syrup (HFCS). Some people will go to any lengths to scare us into eating and drinking only what they believe best. 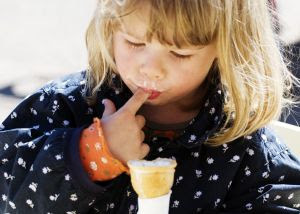 Fructose apparently tricks the brain into thinking you are hungrier than you actually are. Unlike carbohydrates made up of glucose, fructose does not stimulate the pancreas into producing insulin. Nor does it promote the production of leptin, a hormone made by fat cells. Under normal conditions, the amount of insulin and leptin in the body signal to the brain that you’ve had enough to eat. Meanwhile, fructose doesn’t seem to suppress the production of ghrelin, the hormone that triggers appetite, which normally declines after eating. In tinkering with the body’s hormonal balance, fructose also causes the liver to spew more fat into the bloodstream than normal. Thus, consuming foods or drinks laced with HFCS is like eating a high-fat meal. In doing so, we not only gobble down more calories with every mouthful, but we also store more of those calories as fat. That can mean only one thing: a bigger waistline....But there’s just so much of it around these days that it’s hard to avoid consuming it to excess. Research shows clearly that, like cholesterol, there are good sugars and bad sugars. The news has misled parents and a surprising number of nutritionists into fearing "fructose" and believing “natural” sweeteners are healtheir than other added sugars. Even kindergartners who can barely read, have been scared into looking for “bad” HFCS and sweeteners on food labels. 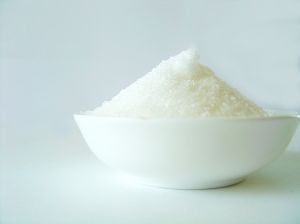 Sugars have not only been studied probably more than any other food ingredient in history and the science is clear, but using “misinformation about sugar is a favorite practice of food quacks,” warned the National Council Against Health Fraud more than fifteen years ago. Nothing’s changed since then. Sadly, even the basics of the nutritional science have never been heard by many of today’s young readers and they’re left more vulnerable than ever to being frightened. Simple carbohydrates (disaccharides) commonly refer to sucrose, a carbohydrate found in every fruit and vegetable. It’s created in all green plants through photosynthesis and is found in the fruits, seeds, flowers and roots (hence, honey, maple syrup and sorghum). Plants have the unique ability to change starch into sugars, and vice versa. Our table sugar is 99.9% pure sucrose, too, and is made from sugar beets or sugar cane. Sucrose is two simple sugars: glucose and fructose in about a 50-50 ratio. Other simple carbohydrates are lactose in milk products and maltose from malt. Complex carbohydrates (polysaccharides) are the starches from plants. Regardless of their source, all carbohydrates are broken down to the same simple sugars and metabolized exactly the same by our body. Most are converted in the small intestine, instantly with digestive enzymes, to the simple sugar glucose because it’s the main fuel needed by every cell in our body and by our brain. It’s the true brain food. Fructose is converted to glucose, too (in our liver). Glucose, in turn, uses insulin to move from our bloodstream into our cells, the same no matter where the carbohydrate originated. Our bodies cannot distinguish between natural or added sugars as they are chemically identical. While “natural” sugars are perceived as healthier, there is no scientific basis for such feel-good beliefs. 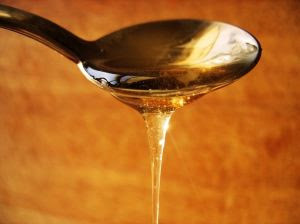 Such ideas have their roots in vitalism.The amounts of vitamins and minerals found in honeys or molasses, for example, are also clinically and nutritionally insignificant. Can sugars cause chronic diseases or obesity? A 1997 Joint Report prepared by the World Health Organization and the United Nations Food and Agriculture Organization also found no evidence that sugar consumption is a causative factor in any disease, including obesity, diabetes or coronary heart disease. The Surgeon General’s Report on Nutrition and Health, the National Academy of Sciences report Diet and Health, and Healthy People 2000: National Health Promotion and Disease Prevention Objectives by the U.S. Department of Health and Human Services concurred. Fears of sugars are greatly exaggerated. “Sugar is not inherently a dietary villain,” said David Klurfeld, Ph.D., professor and chairman of the Department of Nutrition and Food Science at Wayne State University, editor-in-chief of the Journal of the American College of Nutrition. “The statistical relationships of sugar intake with the rest of the diet are small and probably not biologically meaningful.” A study in that journal, for instance, found little difference in the quality of diets among those eating more or less sugars. 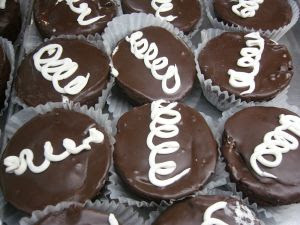 But we aren’t eating nearly as much sugar today as is popularly claimed or in amounts of any concern, either. Once again, claims of exorbitant or skyrocketing consumptions are typically based on food availability/production figures, as we discussed in a previous post. Data from the USDA and Centers for Disease Control show people have eaten about the same amount of carbohydrates a day on average — 500 grams — since 1909. Are sugars necessary in our food? Sugars aren’t put into our food by evil companies. As every home cook knows, sugars do more than make food taste better. They help yeast ferment and bread to rise; facilitate browning (the Maillard reaction) in baked goods; help control crystalization in candies, jams and sweets, and enhance the creamy texture of desserts and sauces; balance the natural acidity of certain foods; make baked goods moister and more tender, less prone to drying out, and help them keep well with less risk of spoilage; preserve the color, aroma, texture and flavor of fruits and help prevent spoilage (think sugars long used in jams and preserves, and added to keep frozen fruits vibrant). “But, but high fructose corn syrup is different! It causes all sorts of unhealthy things to happen and isn’t metabolized the same way at all...” so the myths go. Here is the bait and switch that scaremongers are pulling on you and why it is biologically implausible for HFCS to do any of the things they claim: Because it is chemically the same thing as ordinary table sugar and any other sucrose! They are counting on the fact you’ll be taken into believing that “fructose” is the same thing as “high” fructose corn syrup. Many years ago, fructose was the buzz word that was all the rage. Known as fruit sugar, it had this reputation among consumers as being healthier and more natural. So, when the process of creating sucrose from corn, instead of sugar beets, was developed, some poor marketing person had the unfortunate idea to name it “high fructose corn syrup.” But it’s made up of the very same simple sugars, glucose and fructose in about a 50-50 ratio, just like table sugar. The exact proportions vary slightly, as in other sucroses, but when it was created, it was important to the food industry that it be similar to sucrose. HFCS is made in two formulations: one 55% fructose and the other 42% fructose, with the rest glucose. The 55% version has exactly the same sweetness as the sucrose in our table sugar and is used in many soft drinks. Countless Baby Boomers will remember as kids guzzling kool-aid by the gallons and our Mothers making it with cupfuls of sugar! Soft drinks are today’s kool-aid, with added bubbles. [Kids have very different tastes for sweets than most adults.] The 42% formulation of HFCS has about the same sweetness as honey and is used in noncarbonated drinks, baked goods and other foods where all of those culinary benefits of sweeteners, mentioned above, are important. As noted by the FDA in 1996, “the saccharide composition (glucose to fructose ratio) of HFCS is approximately the same as that of honey, invert sugar and the disaccharide sucrose” (table sugar). The slight variations among the various sweeteners are clinically negligible. HFCS is also every bit as natural as any other sweetener and contains no artificial or synthetic ingredients or color additives. Our bodies can’t tell the difference between pure sucrose made from sugar beets or corn! Sucrose is sucrose. It's the same thing. It is biologically implausible for HFCS once it’s ingested to be metabolized any differently from any other sucrose. And, indeed, recent studies have confirmed that the sweeteners are absorbed and metabolized similarly, use the same metabolic pathways, and have the same effects on glucose, insulin, leptin, ghrelin and appetites. Some don’t believe we should eat anything made by Big Food, so they’ve embraced fructose mythology by very carefully choosing their words and designing their studies so that you’ll think their findings for fructose are referring to HFCS. Their studies use pure fructose or inordinately high percentages of fructose sweeteners — up to 30% of calories, which is three to four times the amount in our daily diets! — to suggest something ominous. But we never eat fructose that way. “Fructose is always found in about a 50% ratio to glucose,” explained John S. White, Ph.D., a fructose researcher with White Technical Research Group, Argenta, IL. “The percentage is what’s important, not the total amount of fructose in grams. The sugars have a buffering effect on one another and don’t act independently. You don’t see malabsorption problems unless you study unrealistic percentages of fructose, [problems] which disappear at around a 50% intake.” And in fact, no studies on HFCS as normally consumed, just like other sweeteners, has shown it’s harmful. Now that you know HFCS is not the same as fructose, you’ll be able to pick up the tactics being used to manipulate you. A new study in the June issue the Journal of Nutrition — that will no doubt soon flood the news as further “evidence” of the dangers of HFCS — concluded “no significant association was observed for intakes of sucrose, lactose or maltose” and the risk of type 2 diabetes. Based on dietary surveys compared with the national diabetes register in Finland, they did report a higher relative risk associated with intakes of fructose and glucose, and went on to say their findings support the view that higher intake of soft drinks may increase type 2 diabetes risk. We can probably guess few reporters will catch the leap and get the facts straight. To support its claims that we’re eating grossly more amounts of HFCS since 1970, The Economist showed this table from the USDA Economic Research Service. It’s based on production/availability data, not actual dietary consumptions, but still gives an important clue to the other side of the story you weren’t told. While HFCS "sweetener" use rose from 16% of all sweeteners in 1970 to 56% in 1997, during that same period sugar use decreased from 83% of all sweeteners to 43%. So, while the source of sucrose in our diet has changed, the total amount of sucrose (or fructose) in our actual daily diets hasn’t significantly changed. In fact, an FDA study published in an earlier AJCN issue affirmed, the amount of fructose in our diet has remained relatively constant for the past 30 years, accounting for about 7 to 9% of our caloric intake. And since 1999 in response increasing fears, consumption of both sugar and HFCS have been declining, according to the USDA. Believe it or not, the correlation between early increased HFCS use and the incidences of obesity and diabetes is the strongest proof for blaming HFCS. As we’ve seen, however, sodas do not cause obesity and there is no difference in the BMIs of children consuming the most and least amounts. Countries around the world that use little or no HFCS are seeing similar rises in obesity and diabetes rates, so even common sense says HFCS isn’t to blame. Let’s look at one more fear surrounding HFCS. Growing numbers of consumers are being led to believe that they are allergic to HFCS. Corn, however, is not a significant allergen, according to the FDA. Research since 1950 has recognized that corn allergies in the U.S. affect no more than 0.016% of the population and are extremely rare. And thankfully, too. They are so rare, in fact, that the Food Allergen and Consumer Protection Act of 2004 and the international Codex Alimentarius Commission doesn’t even list corn on its list of foods that require special labeling. Still, it makes even less sense that an allergy to HFCS is biologically possible because nearly all of the corn protein is removed while HFCS is made. And allergens are primarily protein in composition. But, so sadly, some people have come to fear HFCS and “processed foods” to such a degree that the nocebo effect can make them feel actually sick whenever they believe they’ve consumed a bad food containing it. The bottom line, is that there is no evidence — and there never has been — that we have anything to fear from enjoying the sweet things in life.